Buckle attachment, France, late 14- early 15c. 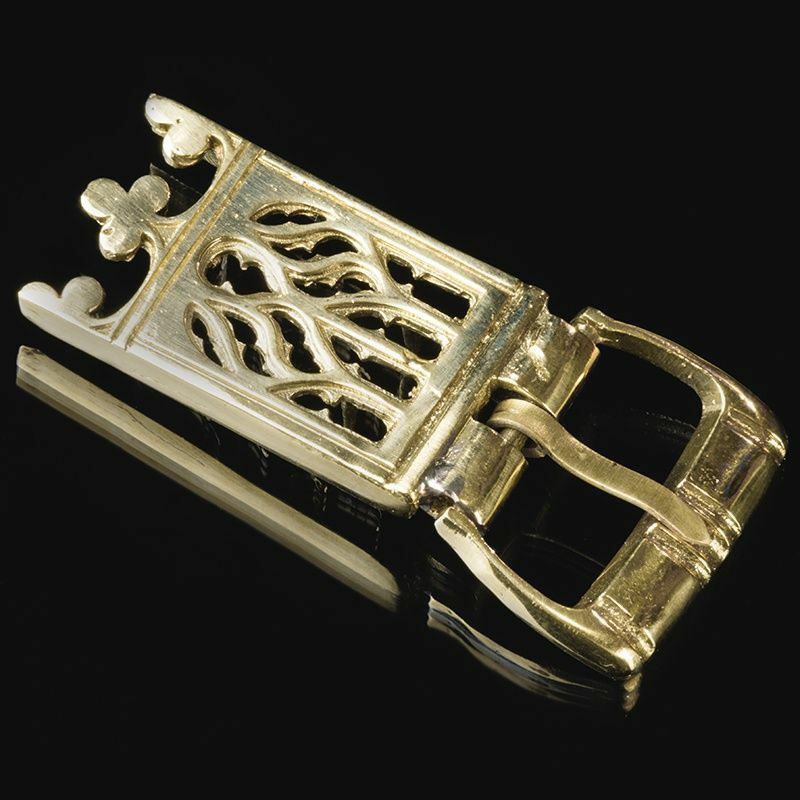 Buckle attachment, England, 15c. For 30mm strap. ..
Buckle attachment. Scandinavia, 14-15cc. Makes pair with strapend V-EX36. 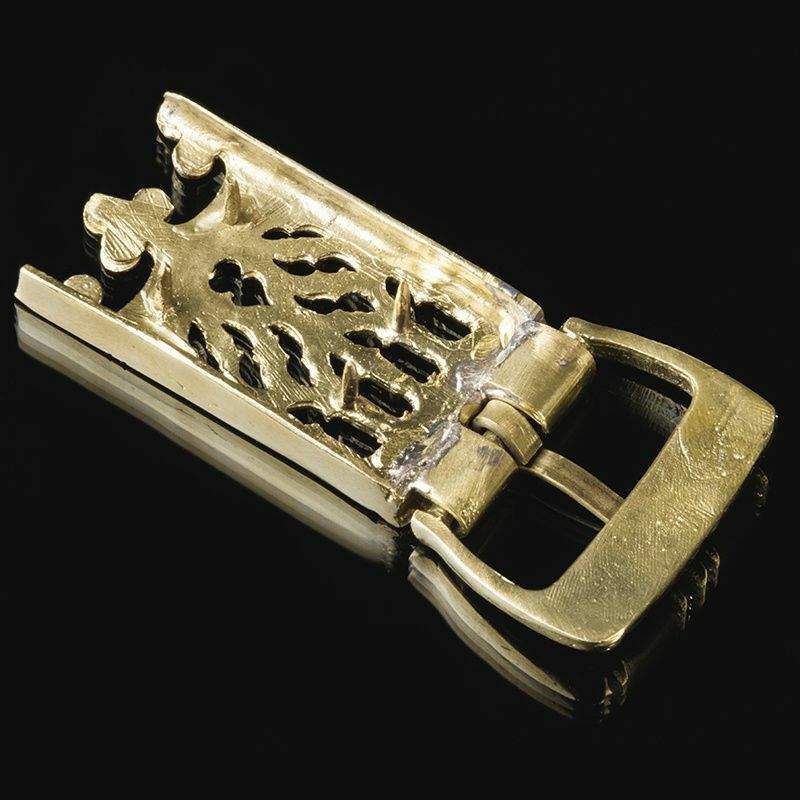 ..
Buckle, England, late 14- early 15th century, Dress Acsessories 302 (London's Archeology). Brass Size 33 x 40 mm. For strap width 30 mm Important: Most cast items are not in stock and will be produced exactly for you in 10 days term. Gilted Items could be in production up to 20 days. ..